Attic insulation is hardly a top priority when it comes to thinking about home improvement projects for homes in Woodstock, Georgia. Instead, bathrooms and kitchens tend to top the lists, with clear and immediate benefits once the remodel is complete. However, a properly insulated home will offer ongoing savings on your heating and cooling bills month after month and year after year, making it a well-worthwhile investment to consider. Whether you have a finished attic that you use regularly or an unfinished crawlspace that you try not to think about altogether, proper insulation in your attic space is essential for making your home as energy efficient as possible. 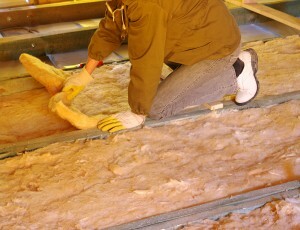 If you’ve ever taken a peek in your attic and found insulation, you may feel reassured knowing that your Woodstock, GA, home is already insulated. However, there are plenty of reasons why the insulation may not be adequate. Older homes tend to have lower levels of insulation than are recommended now, and older insulation can become compressed or damaged from water or mold, for instance. Instead of simply checking on whether or not attic insulation is present, there are other signs you can look out for that are better indicators of whether or not your home needs more insulation. Drafty rooms and hallways, as well as uneven temperatures between rooms, are clear signs that your home is not energy efficient. Similarly, if your energy bills are excessively high, it may be due to poor insulation. Attic insulation helps keep warm air in during the winter and cool air in during the summer, contributing to more comfortable and consistent internal temperatures. In any of these situations, your best bet is to consult with an insulation specialist, who can recommend the right type and level of insulation for your home. 31-W Insulation is proud to offer top-of-the-line insulation and professional installation services for homeowners throughout Woodstock, GA. If you think you may need more attic insulation, contact 31-W Insulation today to schedule a free consultation and learn more about your options.